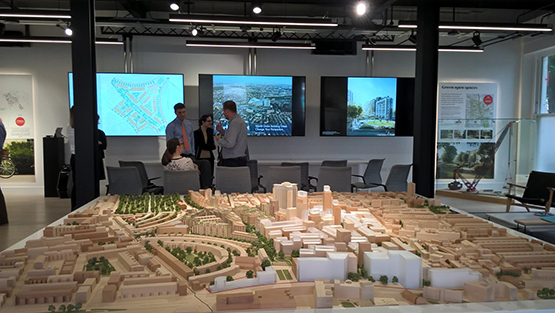 On Tuesday 27th September 2016, the Lillie Square project presented its approach of embedding sustainability and displayed their current sustainability performance in two sessions to the industry to help share lessons learned. The presentations were part of a series of events for World Green Building Week, which aims to “create a public conversations about the role buildings play in our sustainable future”. The first session included representatives of the client and was focused on demonstrating the clients’ role in delivering a sustainable building. The second presentation was to external parties such as representatives from local authorities including the Greater London Authority (GLA), clients and consultants. This session was more focused on sharing best practice and demonstrating how sustainability is adding value to the project.